Fast and Furious 8, otherwise known as The Fate of the Furious, is on pace to be another money-making blockbuster for Universal Studios. It’s already set to make $600 million worldwide and it’s only been around for less than a week. There’s no question that the movie itself is a commercial success for those behind it, but like most of its predecessors, Fast 8 had its fair share of holes and could-have-beens that would’ve probably made for a more cohesive story and a better viewing experience all around. We already know that the franchise has little regard for real-life physics, so we’re not even going to mention the audacity of throwing in a submarine in the movie. After all, this is the same franchise that has used tanks, buildings, and without question the longest fake runway in the world as part of its set pieces. As much as we enjoyed Fast 8, certain elements of it left a lot to be desired. Whether it was the lack of cohesion to the overarching Fast and Furious universe or the absence of key players that would’ve made the movie more rounded, we’ve rounded up our gripes about the movie with hopes and expectations of seeing them addressed at some point in the next two movies. We don’t know if they’ll happen, but it goes without saying that not seeing them on Fast 8 amounted to missed opportunities for the movie to be better than it otherwise already is. As awesome as it was to see Jason Statham make a face turn in the movie, it’s still jarring to see the whole team bite its tongue at the thought of teaming up with the same man that killed Han in Furious 6. In fact, it was Hobbs who was most opposed to sharing corners with Shaw, and he’s without question the man with the least amount of connection with one of the franchise’s most beloved characters. In fact, there was even no mention of Han in the entire movie and the sight of seeing Toretto and Shaw shake hands in the end of the movie without some veiled hints of aggression on Toretto’s part makes it seem like Han has since been forgotten by everyone in the movie. Nobody will question Tyrese Gibson’s status as the comedic heartbeat of the whole franchise. It’s a role he’s played very well since Fast Five and the comedy routine has proven to be an invaluable aspect of the whole Fast and Furious universe. Imagine how stiff the movies would be if it didn’t have Roman Pierce providing some kind of comic levity to the proceedings? Well, Fate of the Furious had its share of Roman Pierce’s wit, but either it didn’t translate as well as it has in the past or his jokes and barbs in the movie just weren’t as funny. Either way, Fast and Furious is a lot better if Tyrese Gibson is legitimately funny in it. Seems like the producers and filmmakers adopted the “out of sight, out of mind” approach when it comes to Paul Walker and Jordan Brewster’s characters in Fate of the Furious. Granted, Walker’s character isn’t coming back for obvious reasons, but it would’ve been cool to at least see (or maybe hear) from Brewster’s character, Mia Toretto. At the very least, I’d think it would’ve come naturally for Dom Toretto’s sister to have some tips on how to handle his big brother if he goes rogue. More importantly, a Brewster cameo would’ve provided a nice reminder that while Walker may be gone, his Brian O’Connor character in the franchise is still very much alive and presumably doing well raising his family with Mia. Johnson and Statham’s characters, Luke Hobbs and Deckard Shaw, popped so much on screen during the prison scene that a lot of people expected the two to share more screen time during the movie. 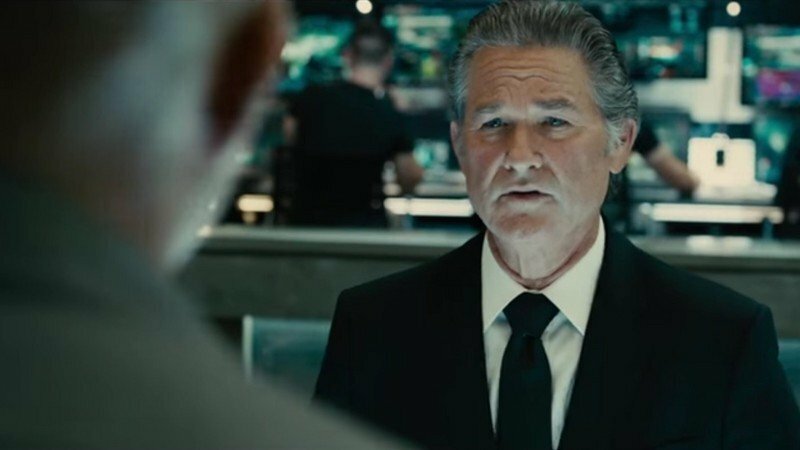 But apart from Kurt Russell’s Mr. Nobody introducing Shaw as a member of the team, Hobbs and Shaw didn’t get to continue trading barbs at each other as much as we’d like. Maybe it was because of storyline purposes, and to be fair, there was a rumored end-of-credits scene between the two that would’ve addressed this gripe. Whatever it is, we need Johnson and Statham to share the screen more in the next two movies. You can’t make up the organic on-screen chemistry between the two, and the producers need to take full advantage of it. Again, this might fall on storyline purposes, but we’re two movies in with the Mr. Nobody character and we still know very little about the man. It’s a shame because Kurt Russell is awesome in the role and if his character is going to remain interesting, we’re going to need to know more about his past and the things that make him tick. It’s a small issue, but it’s only going to get bigger if the franchise doesn’t address what his motives really are. More Dame Hellen Mirren, please! This one goes without saying. Dame Hellen Mirren was a scene-stealer in a limited capacity. We need more of her moving forward. So, what did you think of Fast 8? You’ve seen it already, right? If not, go check it out and let us know your thoughts in the comments below.